In the five years and change since the world became (re)acquainted with virtual reality, one thing that’s stood out to me consistently is how much companies have worn their progress on the outside. Whether they make hardware (headsets) or software (games, apps, and other experiences), VR’s most successful companies have shared their aims and their incremental successes with a rare transparency. Some of this, I’ve always thought, is that the rebirth of VR was at its heart an open-source venture: While he worked on the prototypes that would become the Oculus Rift, a young Palmer Luckey worked in a lab at USC that freely shared its own VR design ideas with the internet. And that’s great! The VR industry at large—the people who work on it, and the people who want it to succeed even if they don’t work on it—only benefits from that sort of kumbaya attitude. There’ll be time enough for trade secrets and tribalism, but first let’s get this thing off the ground, etc. etc. 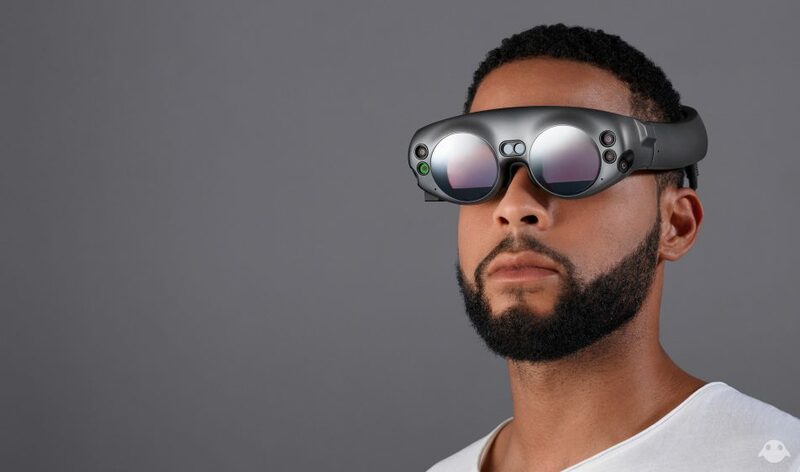 That transparency, though, hasn’t necessarily extended to VR’s cousin, augmented reality.1 And one AR company in particular has valued its secrecy: Magic Leap, a Florida-based startup that has generated nearly $2 billion in outside funding and mass online fascination despite offering nearly no information to the public. (The operative phrase here being “to the public”: As with many tech startups, investors, would-be software partners, and some journalists have received demos of the technology, as well as being privy to more details about the company’s plans.) You know what people don’t like? Prolonged secrecy. 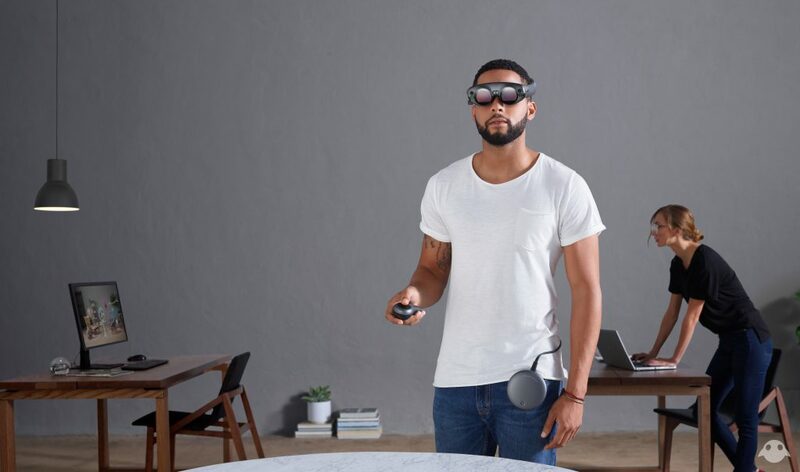 While the company has its reasons for its close-to-the-vestness, its years of hedging and eye-popping videos have led people to start questioning exactly what Magic Leap was cooking up. But yesterday, finally, the company showed what it’s been working toward. It’s what that guy is wearing up there. (Not the t-shirt; the other stuff.) And over at WIRED, I did a little digging into how exactly Magic Leap is trying to pull this off. 1 Weirdly enough, AR relies on literal transparency: Where VR envelops you in an artificial world, AR introduces artificial objects or information into or atop the real world.